THE spokesperson to national leader the All Progressives Congress, Asiwaju Bola Ahmed Tinubu, Mr Tunde Rahman, has narrated how some PDP women led by former spokesperson of Department of State Services, DSS cornered the former Lagos governor at Airport and begged him for a selfie which is now being used for blackmail by the opposition party. 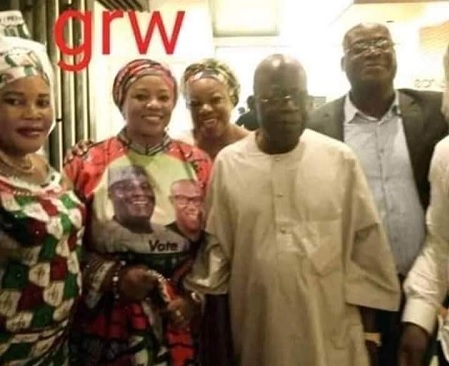 Tinubu’s picture with the PDP women leaders has gone viral and is now being used by PDP social media ‘warriors’ to indicate that the national leader of APC may be thinking of dumping his party ahead of Saturday’s presidential election. “There is nothing more to the photograph than an acceptance of a seemingly harmless request for a photograph.